Will Jennifer Lawrence be at the 2017 Golden Globes? With the 74th Annual Golden Globe Awards airing this Sunday, awards season is officially in full swing. The Golden Globes are often seen as the fun cousin to the Academy Awards, with its sit-down dinner, booze, and overall fun atmosphere. It’s the award show where the funny celebrities tend to shine. At the 2014 Golden Globes, Emma Thompson, with a drink in one hand and Louboutins in the other, stole the show while presenting Best Screenplay. 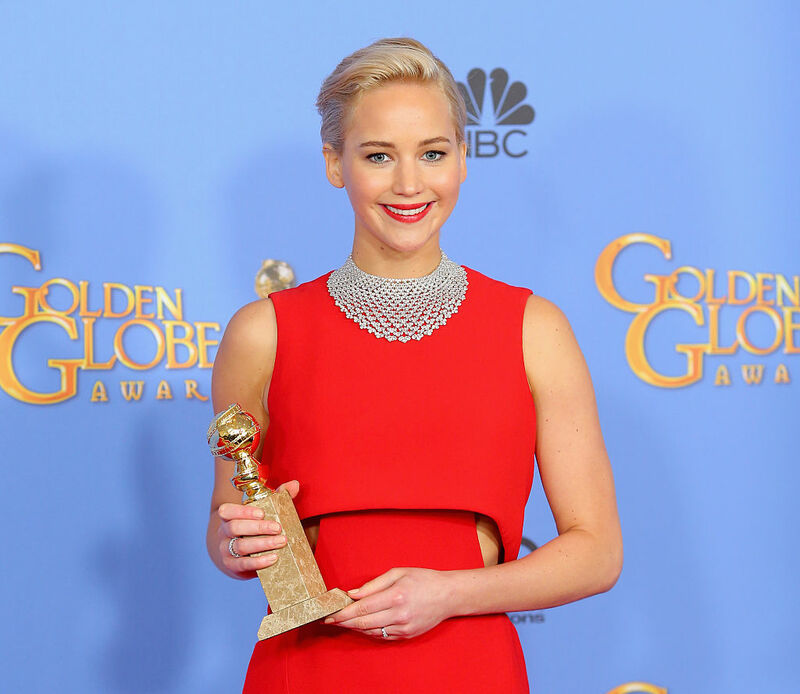 But for the better part of the last decades, Jennifer Lawrence has been a Golden Globes staple. She’s been nominated four times (and has won three), with her most recent nomination for Best Actress in a Musical or Comedy for Joy. Lawrence did not receive a nomination this year, so the big question is: Will she come to the Golden Globes? For celebrities not nominated for an award, presenting is often a prime way to score an invite to the ceremony but it doesn’t look like Lawrence will be presenting. Last week, The HFPA announced some of the presenters for Sunday’s show, including Drew Barrymore, Matt Damon, Zoe Saldana, Diego Luna, Steve Carell, and Anna Kendrick, but Lawrence’s name was nowhere to be found. While the Academy Awards requires winners from the previous year present at each ceremony, it doesn’t seem like the Hollywood Foreign Press Association shares the policy. Each time she’s been nominated, Lawrence has attended the show, as a nominee (or winner) and as a presenter. The last time she wasn’t nominated, in 2015, Lawrence didn’t attend the ceremony, either. So there is precedent that Lawrence will be absent from the evening. There’s also the factor that at her last Golden Globes ceremony, Lawrence got herself into a little bit of trouble. After accepting her award for Joy, she made her way into the press room, where a short clip of her scolding a reporter for using his phone went viral. Lawrence was bashed online for being rude, but after the damage had been done, it was revealed that the short clip, misconstrued the event to seem ruder than it was. So, we won’t blame Lawrence if she decides to stay home during the Golden Globes, but we really hope she turns up to liven things up! I guess we’ll have to wait and see on Sunday!